The Top 10 Natural Anabolic Supplements for this year gives more the opportunity to increase muscle mass, definition and strength. All supplements in this class are botanical based. They have a very low rate of side effects as reported by customer. This gives those who previously considered using a mass muscle enhancer, but avoided them because of the possible risks, the opportunity to break through plateaus and get more lean hard defined muscles. 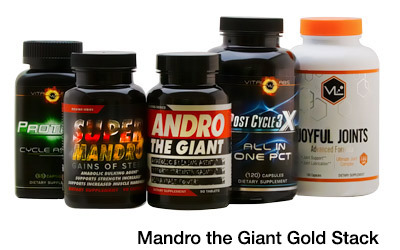 The Top 10 Natural Anabolic Supplements marks the beginning of a new age for fitness supplements. At the end of 2014 laws were changed, and as many prohormone users figured, their solid lean hard muscle mass gains came to an end. But surprisingly the gains did not end as several astute scientists and physicians made discoveries that evolved the industry rather than end it. These clinicians found new uses for botanical (natural) based substances that not only produced muscle gains, they revolutionized them. The Top 10 Natural Anabolic Supplements for 2016 represent the best of the best of this new breed of lean hard muscle mass gainers. These new supplements are reported to have low to no side effects and are suitable for healthy adult men. Now virtually all men can enjoy the lean hard muscle gains. There are a couple notable natural anabolic supplements on this year’s list. Perhaps the most surprising supplement of the year thus far is Anafuse by Assault Labs. Anafuse rose to fame when it made it to the No. 3 spot of the Top 10 Bulking Supplements for 2015, a huge accomplishment for a Natural Anabolic when you consider it is compared to the most powerful legal synthetic substances. It is no surprise that it is No. 1 on this list. Also notable is Nano Genin also from Assault Labs in the No. 3 spot which made the Top 10 Cutting Supplements for 2015 List. Ranked by repeat sales, customer reviews and our Pro Support Staff’s experience using the supplements plus guidance and discussions with customers we proudly announce the TOP 10 Natural Anabolic Supplements for 2016, Spring Edition. We had a few new manufacturers bring new products to market this season, however, after the data was tallied the leadership was evident. Strong Supplement Shop is one of the largest suppliers of these products worldwide and this list represents the Industry’s Best in Class. Anafuse is so potent (and re-ordered so often) it also made the Top 10 Bulking Supplements List, the only natural anabolic to do so. But unlike many on that list Anafuse produces its results without influence on your hormones and with virtually no side effects. 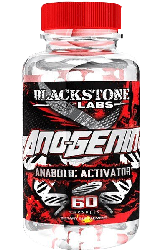 Anafuse combines the two most effective natural anabolic ingredients on the market today (Epicatechin & Laxogenin) with the addition of absorption enhancers. The customer feedback and re-order rate on this anabolic has been so stellar that is on pace to become one of the best selling supplements ever. Certainly worthy of its No. 1 position among the Top 10 Natural Anabolic Supplements this year. Nano Genin combines the non hormonal anabolic agent Laxogenin which has been shown to increase protein synthesis by 2X with a technology used by the pharmaceutical industry known as “Nano Absorb technology” which helps to increase the effectiveness of Laxogenin by up to 600%. The combination of the two has users reporting increases in fat loss, lean muscle mass, endurance and strength, and make it a notable addition to the Top 10 Natural Anabolic Supplements this year. Read all the Reviews Here. A supplement that is the first of its kind, utilizing Bio-Active Peptides to help increase protein synthesis which in turn helps to increase lean muscle mass, muscle recovery and muscle endurance. One scoop of Bio-Gro contains the equivalent bio-actives of 25 grams of whey protein concentrate. Read all the Reviews Here. 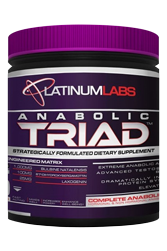 Anabolic Triad separates itself from other products as it combines two powerful ingredients from two different categories, utilizing the natural anabolic Laxogenin with the testosterone booster Bulbine Natalensis. The combination helps to increase testosterone by up to 347% and protein synthesis by up to 200%. Read all the Reviews Here. 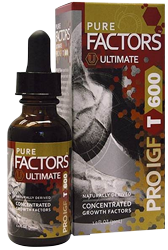 Pro IGF T600 is a product that has a very high customer re-order rate, it not only helps users increase their strength, muscle recovery, and muscle endurance, but also promotes accelerated injury recovery. The key ingredient is deer antler velvet, an ingredient that was popularized by NFL legend Ray Lewis, who by using Deer Antler was able to reduce his recovery time from a torn tricep from 6 months down to 3, allowing him to play in and win a superbowl in his last year of play. Read all the Reviews Here. The product that brought Epicatechin to the market, Follidrone is known for its ability to help users increase strength and mass while helping to improve recovery times and muscle endurance. The product has a strong following but many users tend to start with Follidrone and move up to other Epicatechin products that have enhanced absorption properties. Read all the Reviews Here. A natural anabolic that has taken ingredients that were once popular in the bodybuilding industry and upgraded them, utilizing a 95% pure Forskolin, an ingredient that has many physique altering attributes, as it has been shown to help reduce fat levels while increasing lean mass, and in some studies it has been shown to increase free testosterone levels by up to 40%. Users have also reported increases in muscle hardness, libido and appetite. This is the first year Anabeta Elite made the Top 10 Natural Anabolic Supplements List. Read all the Reviews Here. Ano-Genin a natural anabolic utilizing Laxogenin. A solid product that can be used by both men and women as long as over the age of 18 and promotes increased protein synthesis, muscle endurance, and muscle pumps. A popular product overall but many customers tend to move up to other products that have Laxogenin and other natural anabolics in the formula such as Anafuse. Read all the Reviews Here. 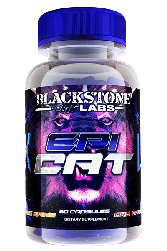 Epi Cat is Blackstone Labs’ Epicatechin supplement, although the dosage may not be that high per serving (100 mg), Blackstone Labs adds in two additional ingredients to help enhance the absorption of the compound. This may not be the best option for an Epicatechin supplement in terms of value and potency but the customer loyalty to Blackstone Labs has kept the reorder rate on this supplement high. Read all the Reviews Here. Are any of the good to take with a fat burner? What’s the best to stack to cut weight and build muscle? Hey Rem – Thank you for your question. There are a number of ways you can go to both build muscle and lose weight using one of the Top 10 Natural Anabolic Supplements. A lot of guys in your situation are using Anafuse on its own with great success. But, some are stacking Anafuse with an estrogen blocker, like Eradicate from BSL, which can have the effect of vastly reducing your fat production. This tends to give you more muscle definition and not necessarily a lot of weight loss, although some have reported actual weight loss. Also, some are supplementing with a fat burner, such as Hydroxyelite, as well to help reduce overall fat, giving them much more muscle tone and less weight. Of course this assumes you are a healthy adult male. However, there are a few things to consider. First, consider that you want to build muscle – this means you are working out hard, presumably burning more calories. As your fat turns to muscle you may actually put on weight, but you will look thinner as the muscle is more dense than fat; at this stage most guys say their clothes fit them better. If you change your diet and reduce your calories you can cut more weight, but without knowing your specific information I can’t really give you a suggestion on a nutrition strategy. Eating the right type of food can make a huge difference for you. This is were our Pro Support Team can step in and help you out on an individual basis. I suggest you give them a call 888-774-3539 or click chat at the site and tell them your specific goals and where you are now with regard to weight and diet. They can not only suggest the right stack, but also suggest what & how you might eat to reach your goal in the most expeditious way . I can’t stress enough how helpful they can be. Of course there is NO charge for their service, we just want you to be successful – because face it – if you don’t look good we don’t look good, right? Thank you again for your question! Hola Alma – No hablo Espanol bueno. Por favor, llama 888-774-3539 para nuestros Pro Support. Puedes ayuda alli. This site is a top choice for information and product knowledge. To bad it took me so long to find, i could have saved thousands on the filler supplements over the years.. With the knowledge of Reps, I see great things in the future. Thanks Strong for your pursuit of excellence which results in healthier, happier, stronger, more determined, and loyal fitness customers across the globe. Thank you for the very nice comment. Strong works very hard to provide our rendition of product knowledge and support on all the products we sell. Our staff is made up of passionate bodybuilders and athletes like you, so its easier when you love what you do. Thank you again for the kind words and STAY STRONG! Can you deliver this stuff in Finland? Hello – Can I stack any of these product’s together in order to build muscle, if so which ones would be the best to stack with each other? Hi Kevin- Thank you for your question. Yes you can stack the supplements, provided you are a healthy adult. What you stack with depends on your goals. 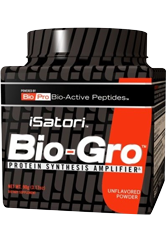 Staying natural and to help gain hard muscle mass most customers stack Anafuse with Bio-Gro by Isatori or IGF-1 by APS Nutrition. At the time of this post (and for about 1 week from today) IGF-1 by APS is on an Olympia special 16% OFF to celebrate the 2016 Mr. Olympia Contest – use code: STRONG16. Cycle for 8 weeks, then go off for at least 4 weeks. No on cycle support or post cycle therapy is needed. Feel free to contact our Pro Support Team with any specific goal questions like what to use to cut. Click here for Pro Support. I see that you recommended the iso grow with the anafuse. 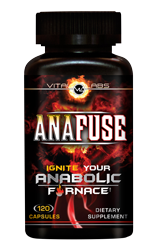 I read on another site that some guys were rating very highly, the Anafuse and Anabeta elite as a very powerful stack. Do you think that the Anafuse and Iso grow stack is better? What are your thoughts on the Anafuse and ABE stack? Hi Michael- Thank you for your question, it is a good one. Anafuse is an awesome product because its effective and natural. It is widely used both on its own and in stacks. When stacking with Anafuse its worth noting that different people have different objectives. People stacking Anafuse with Bio-Gro do it to get an IGF-1 boost as well. While those stacking Anafuse with Anabeta Elite do it predominately to boost free testosterone levels as well. Stacking Anafuse with a test booster is very popular. In fact that is why we created the Supernatural Stacks, which is Anafuse and Sergeant Steel (with several other options). Sergeant Steel is the industries most potent test booster with 16 active ingredients. So to answer your question, it depends. What is your goal and what are your personal characteristics? 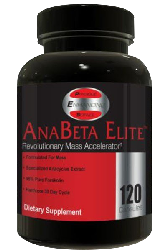 I would say, in general if you are older and your testosterone levels aren’t what they used to be then stacking with Anabeta Elite is a good choice to help with solid muscle gains. If you are younger then you may find Bio-Gro a better choice. Can I to use the hell fire together EPI 2.0? if not, could you please give me a suggestion? Thank you for your question. Yes you can use Hell Fire and Epi 2.0 together so long as you are a healthy adult. 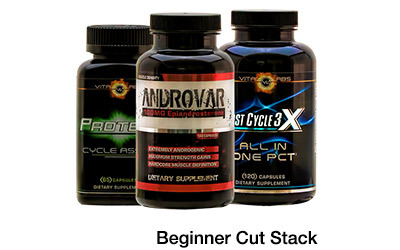 Many customers stack their anabolic supplements with a fat burner to help accelerate fat loss. I already ha e Bio-Gro. I am thinking of stacking Anafuse with Nano Genin and the IGF T600. I do have some chronic issues with my back, shoulder, and knee. However; my knee is in bad shape at the moment. I don’t know if stacking all three would be overkill. What would you suggest? Stacking all three (and Bio-Gro), or trim it down to Anafuse with either Nano Genin or IGF T600? I forgot to ask previously. I know it says there is not need for On Cycle or Post Cycle with Anafuse, but what about any of the others I mentioned in my above comment? And is there any need for a Eatrogen blocker? Hey Jason- Thanks again for your question its a good one. First, one of the benefits of Anafuse, Nano Genin and the others you mention are the low reported side effects. You DO NOT need on cycle support (ons) or post cycle therapy (pct) which is required by prohormone cycles. You should not need as estrogen blocker either as none of the compounds you mention convert to estrogen. Hi Jason- Thank you for your question. Looks like a pretty powerful stack! To answer your question, is that overkill: It depends. Both Anafuse and Nano Genin contain full doses of Laxogenin. It is not uncommon to increase the dose of Laxogenin as many of our customers do. Since we don’t know much about your personal characteristics (weight, experience, etc.) I would say its best to contact Pro Support to get a personalized answer. That said, again its not uncommon. Also, please consider your back – shoulder and knee. I am not sure how “bad” they are, if its just workout pains or something more. If your workouts are going to be impinged upon due to injury then you would be best to stop taking the supplements if you could not workout. FYI, a lot of customers report muscle pain is significantly reduced when cycling Anafuse and IGF T600 may help as well with your issues chronic issues, again that will depend on your personal characteristics. Also, please consider seeing a health care provider for your chronic issues, if you are not already. There is a ton of things that can be done to help you out these days. Hey ! Are all this supplements really 100 % natural and safe ? And do you ship To France ? Hi Igor- Thank you for your question. All the supplements on this list are derived from botanicals. Either they contain the herbal ingredient(s) or have been processed to represent the botanical ingredient based on the information supplied by the manufacturers. No product is 100% safe on our site or any other site. The customer reported side effects for the products on this list are very low. Many thousands of customers use these products without any adverse effects. However, like with any supplement or medication if someone does experience or thinks they are experiencing adverse effects they need to discontinue the use of the product immediately and contact their healthcare provider. 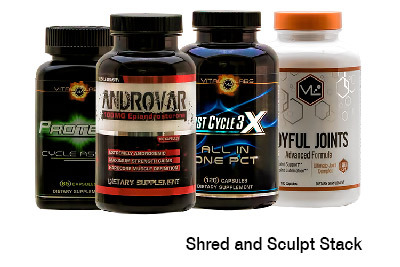 Which one of these ( or perhaps a stack) is best suitable for a female bodybuilder looking to naturally put on mass? Hi Coco- Thank you for your question. Most of our women bodybuilding customers have gravitated toward EPI 2.0, which is more of a cutter than Anafuse. I suggest you contact our Pro-Support staff to get some good tips for how best to stack it. I say to talk to them because then they could gain an understanding of where you are in your development and which specific goals are you aiming for. Armed with that information they can then layout what supplements would be best and also how best to cycle it/them. Also, many of our women customers are using EPI 2.0 to build more muscle to stay ahead of osteoporosis that may run in their families.